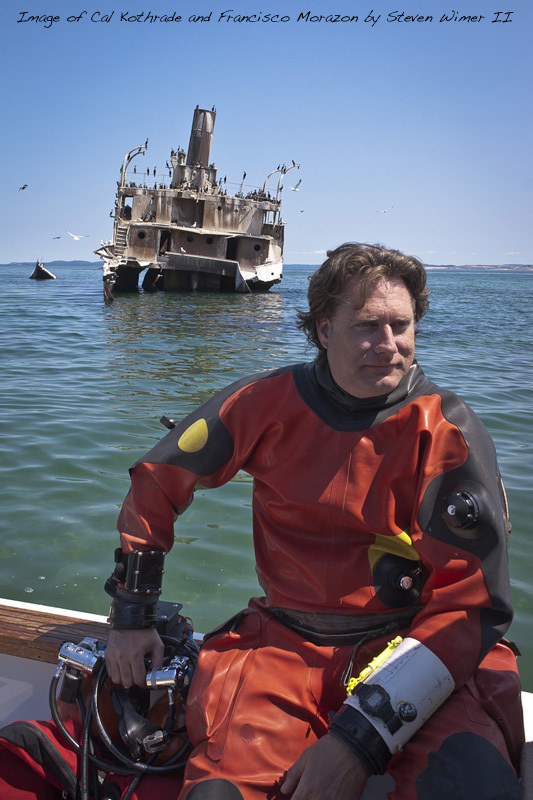 Cal Kothrade is an award winning maritime artist, underwater photographer, and published dive travel author, specializing in wreck mosaic photography, digital renderings, and fine art paintings. Cal is a public speaker, regularly giving presentations about his shipwreck photography, travel stories, and specific shipwrecks. Most presentations are between 45 minutes and one hour, with Q&A afterwords. Please contact him for availability and fees. Cal is the founder, and producer of the Milwaukee Amateur Underwater Film Festival, Founder of the Great Lakes Shipwreck Photo Contest, past curator of the Our World Underwater Art Flows like Water Art Exhibition, as well as a trustee of Wisconsin Marine Historical Society, and a member of Wisconsin Underwater Archaeology Association. Cal can be commissioned for fine art paintings, large scale murals, digital shipwreck renderings and photography for book / CD covers, events, automobile and motorcycle photos, weddings etc.